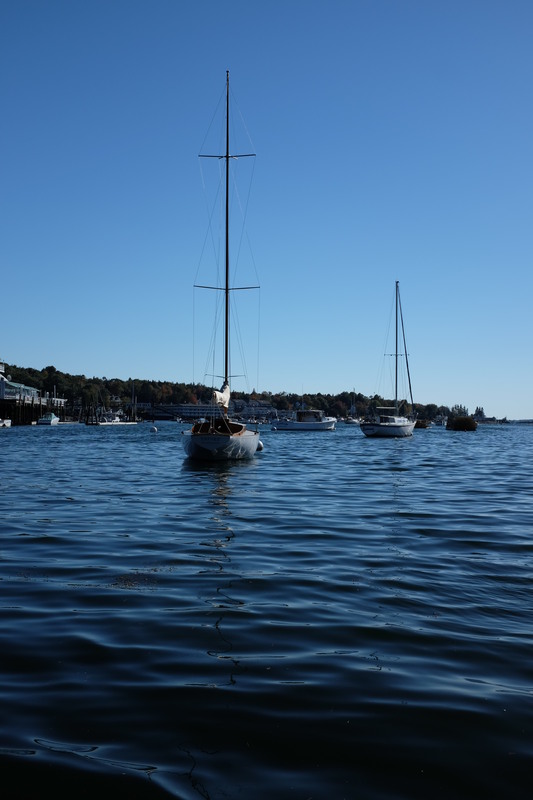 I finally got to the Boothbay Region and its harbor a couple of weeks ago. I visited once in my twenties, and again about 14 years ago. It’s certainly an upscale spot on the mid-coast—several tour buses were still bringing people into town to shop and sight-see. 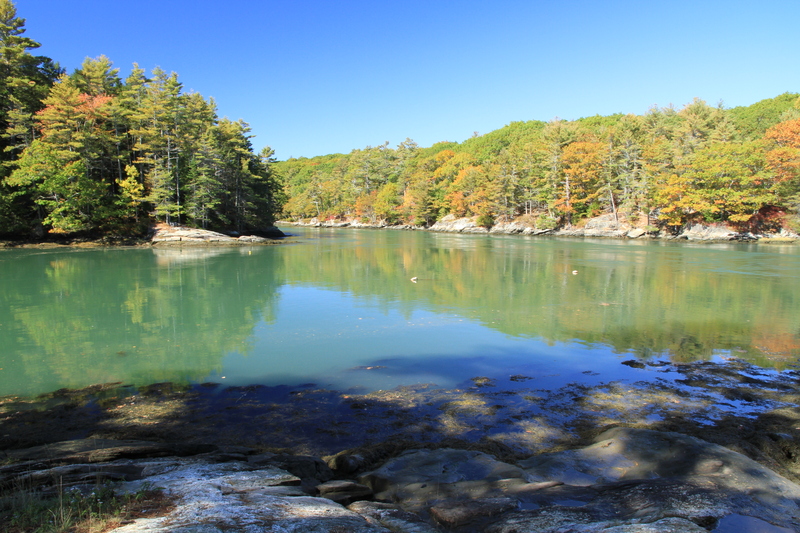 After getting some local maps from Visitor Information I headed to the Ovens Mouth Preserve. Although the birds were gone, I was hoping for some good fall foliage shots, even though it was pre-peak. Too bad, the colors were modest. 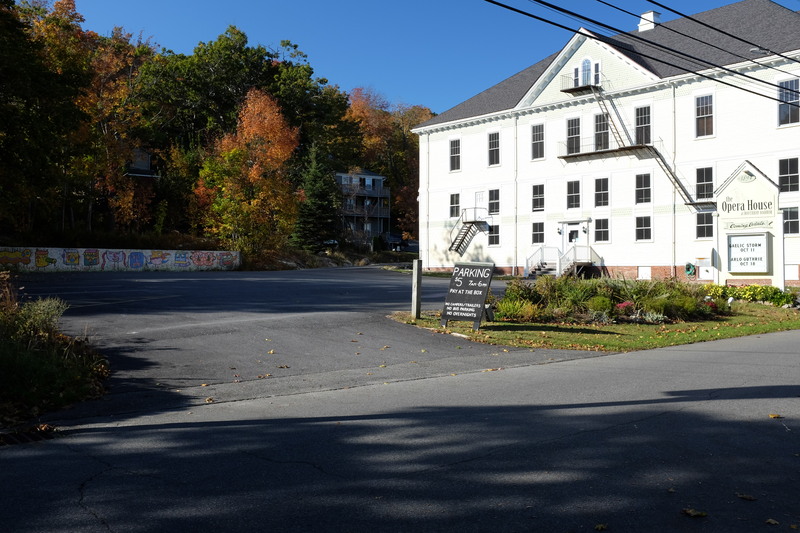 Unlike the roadsides and town centers where Mainers have planted various maples that blaze red early in the fall, most of the trees along the coastal area are conifers and oaks. Not much color there. As I walked the Eastern shoreline loop along an inlet between the Black and the Cross Rivers, I found a number of picturesque scenes where I caught the first image. 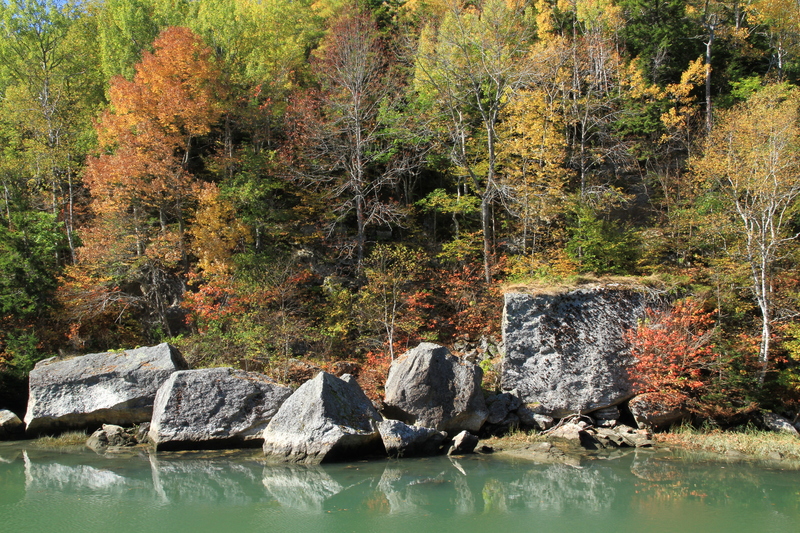 I liked the contrast between the geometry, neutrality, and rigidity of the rocks against the relatively fragile, and diffused pastels of the trees.The second shot shows where the inlet joined the meeting of the two rivers. 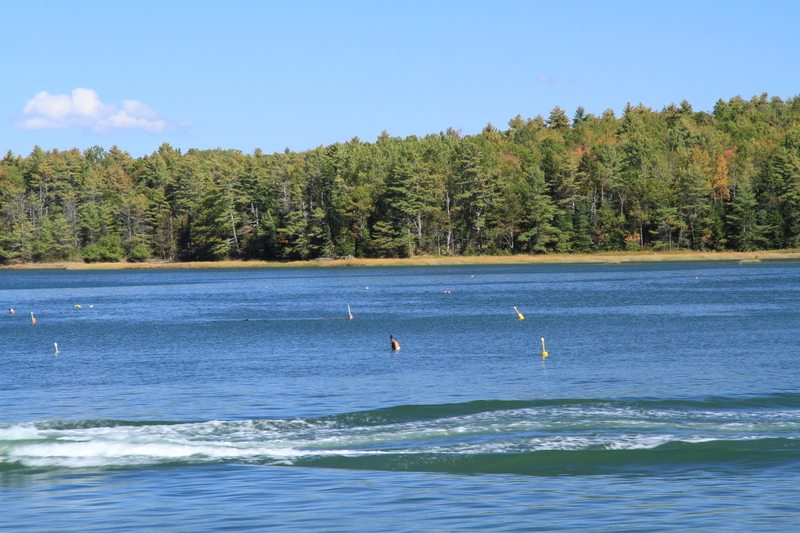 On the shore of the Cross River I set up for a shot of lobster buoys when I noticed an approaching lobster boat. I waited until it passed so I could capture its wake in the foreground to add a little relief to the scene. 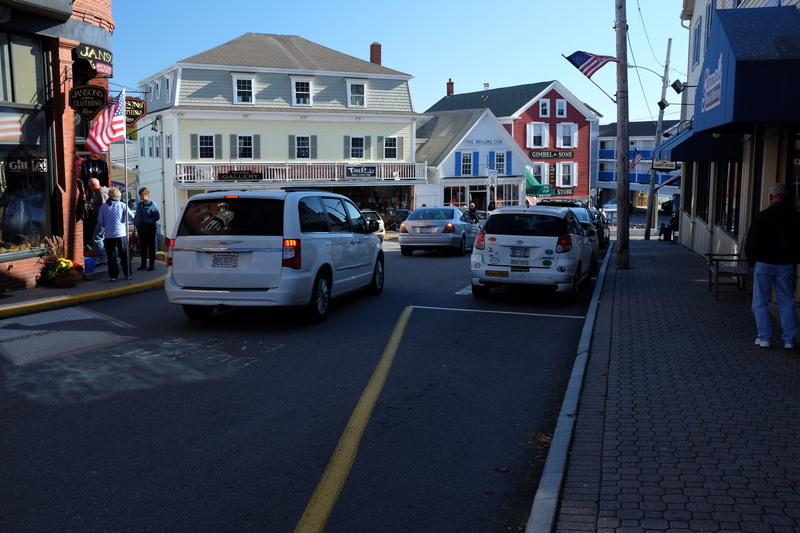 Afterwards, I went down to the harbor and town of Boothbay where I took several shots, three shown here. Later in the afternoon I drove to a public parking area on the east side of the harbor where I took a series of shots to the west towards sunset. 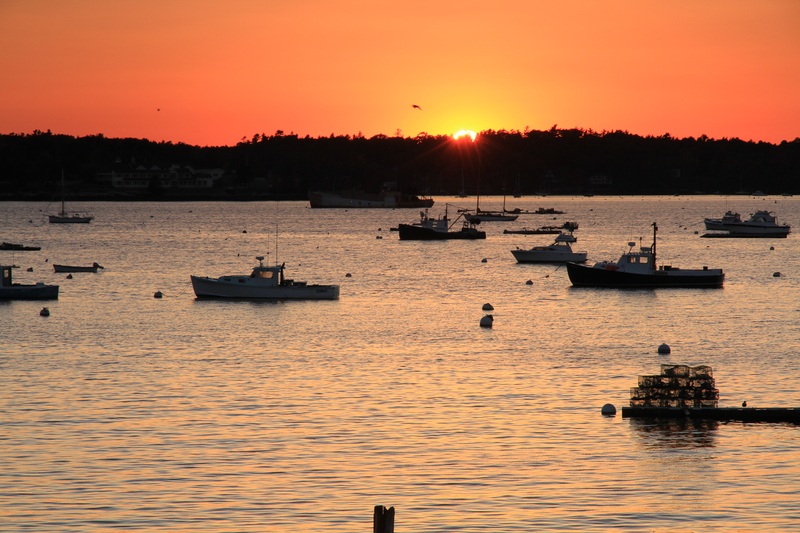 I really like the shot of the two lobster boats returning at the end of the day. I took a series of shots prior to sundown, with two of the more interesting, below. As I’ve traveled the mid-coast I see a greater dichotomy of boats than elsewhere—working versus pleasure boats. 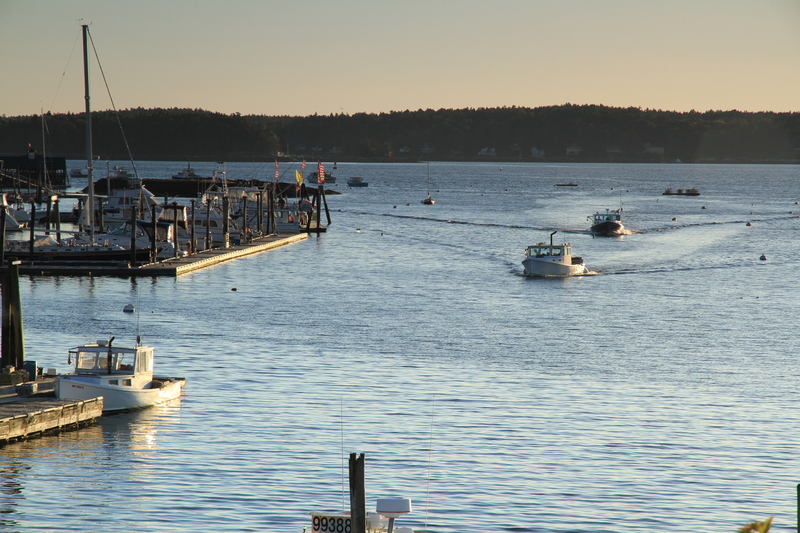 There are far more working boats in Maine compared with Massachusetts, where I grew up, due to lobstering. 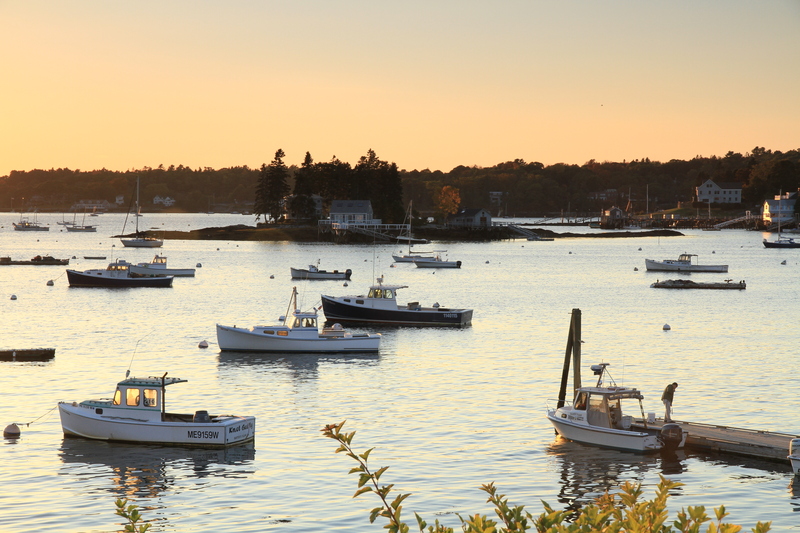 Massachusetts harvests far fewer lobsters, so a greater proportion of boats tend to be pleasure craft. With one week left in Maine I’ll be photographing on Peaks and Portland since my car is now on-island. And that’s interesting that there are more fishing boats up here as opposed to pleasure boats. Makes sense due to all the lobstering. No, more lobster boats. Fishing boats are much larger, typically trawlers or draggers. New Bedford is the fishing capital of the east, San Pedro, the west.